This comment was posted to reddit on Mar 18, 2019 at 1:41 am and was deleted within 15 hour(s) and 54 minutes. I dont really understand the backlash this is getting. I dont keep up with the r/gaming discourse. From my perspective, I find the climb in prices and drop in quality of DLC standards in the gaming industry more of a deterrent from purchasing them than their existence themselves. Dota2 got me to buy cosmetics because they were cheap and looked nice, spending 10$ on a single in game item/cosmetic skin is absurd, especially in a game that you've already paid for. 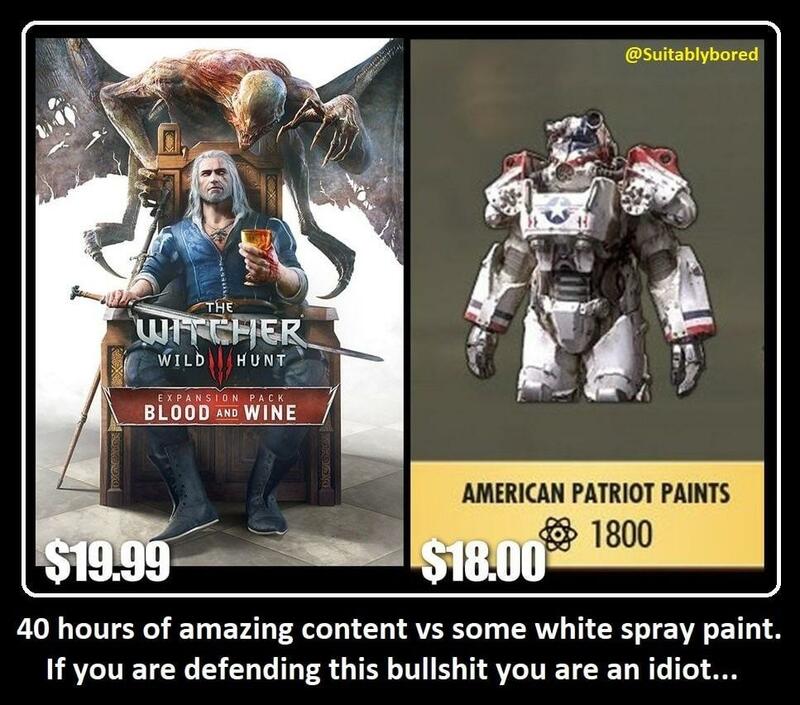 With F76 specifically, it's a game that has had most of its content stripped just to sell later at exorbitant prices, even if that's not technically true (it's not stripped content, its post launch content) it still gives the impression that was the intention and lends to an arguably bad game.